NEW ORLEANS - The Queen of Bounce, Big Freedia, was charged in federal court Tuesday with felony theft of government funds. Big Freedia is the stage name of Freddie Ross, Jr., who was charged by the U.S. Attorney’s Office with lying about his income to get subsidized housing through a Section 8 voucher each year from 2010 to 2014. 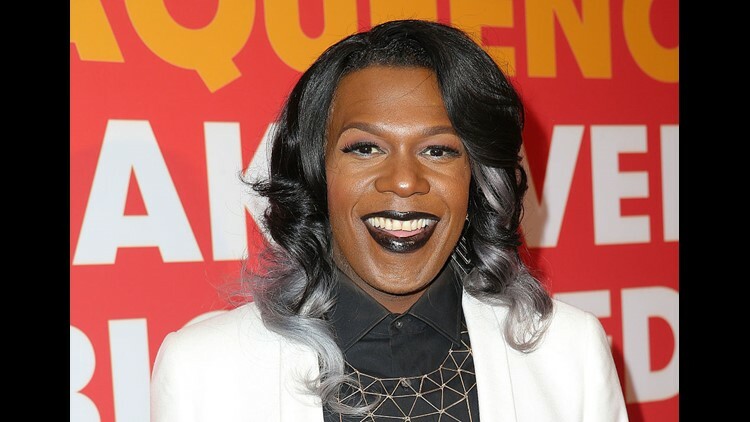 Big Freedia allegedly lied about how much money he was making as he renewed Section 8 vouchers on an annual basis, receiving more than $34,000 worth of vouchers when his income exceeded the federal subsidized housing limit. Freedia issued a statement Tuesday evening taking full responsibility but saying it was a mistake and not an intentional effort to steal federal assistance. "“This is an incredibly unfortunate situation," Freedia said in an emailed statement. "I was on subsidized housing for many years before my financial situation changed. I quickly found myself in a new economic structure and, frankly, knew little about how to handle my money. It wasn’t until recently (after I had stopped receiving housing vouchers) that it became very clear I had received assistance to which I wasn’t entitled. It was an oversight – but one that I take full responsibility for." Freedia said he has cooperated fully with government agents from the moment they approached him and has already begun paying restitution. The 2010-2014 timeframe coincides with Big Freedia's rise to national fame as the Queen of Bounce music. He helped spread bounce outside New Orleans by appearing on HBO's "Treme," on national talk shows, and in 2013 he got his own reality show on the Fuse Network. His fame hit a new high this year when he appeared with Beyonce in her Formation video, which featured New Orleans imagery. And Big Freedia made international news recently when the owner of a club in Mississippi said he had to cancel a Freedia show because state authorities threatened fines if Big Freedia did his patented twerking on stage. The state has a law prohibiting sexual gyrations in establishments where alcohol is served. The controversy prompted Big Freedia to compare the situation to the 1984 movie "Footloose," in which fictional local authorities in a small 1950s town ban rock 'n' roll dancing. Freedia called the Mississippi situation "twerkloose." Big Freedia was charged by the feds on Tuesday as Freddie Ross Jr. with stealing more than $1,000 in vouchers, but the value is actually more than $34,000, he confirmed. He could face up to 10 years in prison and a $250,000 fine. He could also face forfeiture of property equivalent to the amount of the vouchers received. His initial appearance in federal court is set for March 16.